Thank you for shredding with us! 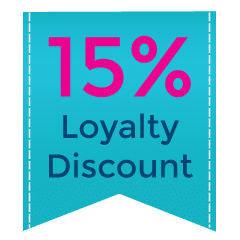 Your 15% discount has been added to your shopping cart – simply shop as normal and you’ll see the coupon applied at checkout. Why not try one of our other services as well, like hard drive shredding? Browse our services by clicking the link below. Remember, this link is only valid for existing customers and the discount won’t last long – it expires in 3 days! Thank you for your custom.